For the third year in a row, strawberries top the "Dirty Dozen" list put out by the Environmental Working Group (EWG). The list, published each year since 2004, ranks popular fruits and vegetables based on pesticide contamination. The group found that one third of all conventional, or non-organic, strawberry samples contained 10 or more pesticides. 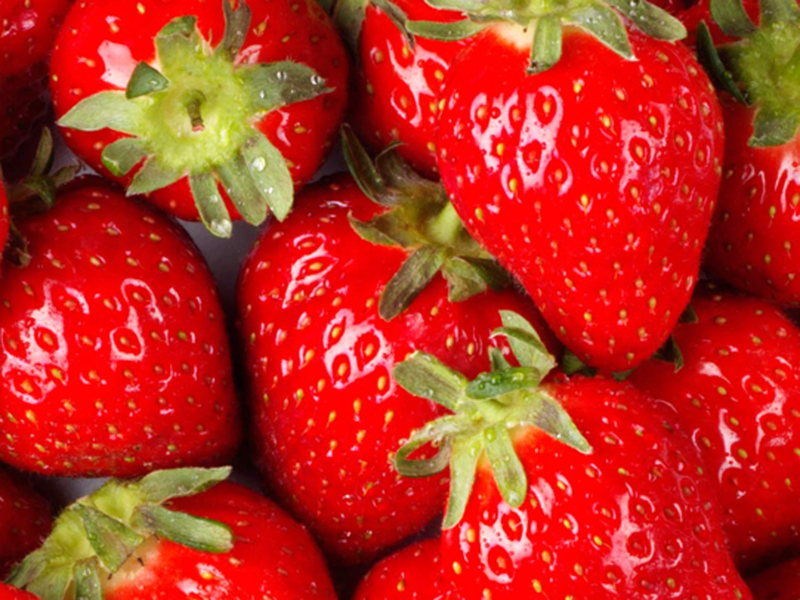 One sample of strawberries was found to have an "astounding" 22 pesticide residues, EWG said. Spinach, the second produce item on the list, contained pesticide residues in 97 percent of conventional, or non-organic, samples. Additionally, more than 98 percent of samples of strawberries, peaches, potatoes, nectarines, cherries and apples tested positive for residue of at least one pesticide, according to the activist group. EWG emphasizes studies that show pesticides in high concentration can lead to health problems, especially in young children. However, the list has generated some controversy in recent years. Outside researchers point out that overall pesticide chemical residues found on these fruits and vegetables are far below what has been scientifically deemed tolerable for human consumption, and according to federal safety standards they do not pose a health risk. The report is based on tests conducted by the U.S. Department of Agriculture and the Food and Drug Administration on more than 38,800 non-organic fruit and vegetable samples. "It is vitally important that everyone eats plenty of produce, but it is also wise to avoid dietary exposure to toxic pesticides, from conception through childhood," Sonya Lunder, a senior analyst with EWG, said in a statement. But some food industry and farming groups express concern that the list may be doing more harm than good if it makes consumers wary of eating fresh fruits and vegetables. "EWG's recommended substitution of organic produce for conventional forms does not result in any decrease in risk because levels on conventional are so very low, if present at all," says the Alliance for Food and Farming, a nonprofit group comprised of both organic and conventional farmers. "Read, learn, choose but eat more organic and conventional fruits and veggies for better health and a longer life. Both are very safe and can be eaten with confidence," the organization says. The International Food Information Council (IFIC) Foundation, a nonprofit that gets funding from major food and beverage companies and says it aims to provide science-based information on health, nutrition and food safety, points out that organic produce sometimes contains low levels of pesticides, too. "Potential residues on either type of produce are in minute amounts that are not linked to any adverse health effects," said Tamika Smith, PhD, the group's director of food technology communications. "On average, Americans don't come close to meeting these recommendations in the first place, and adding an additional barrier brings us further away from the target: eating a healthful, balanced diet," Smith writes. "...Whether fruits and vegetables are organic or conventional, it's a good idea to incorporate more of them into our diets." The Environmental Working Group also released a companion list of 15 foods with the lowest levels of pesticide residues detected in federal testing.